Despierto is a lovely PRE stallion with a kind and friendly character. He has been schooled up to PSG level by a professional rider and he is ready to start competing FEI in Prix. St. George. 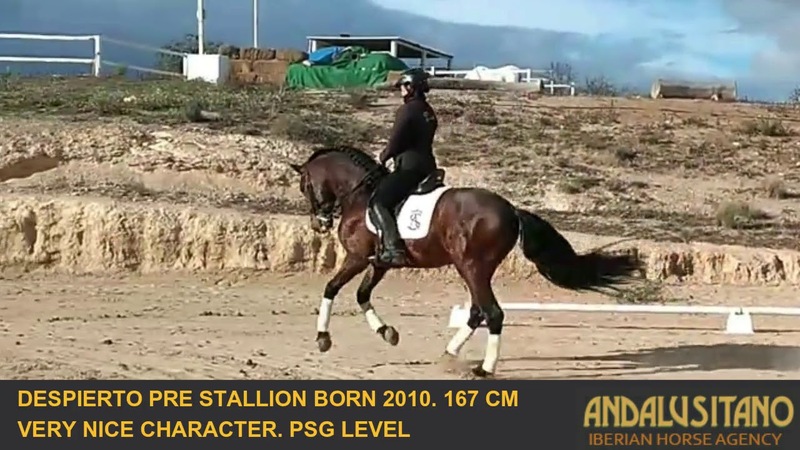 He would be perfect as a schoolmaster for anyone looking to learn more or as a competition horse. He is fine for younger riders also. In and around the yard he is well behaved and polite. He is used to everything that goes on in a professional yard.